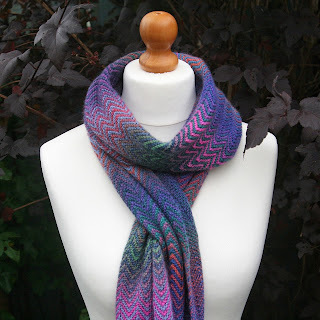 Fifty Shades of 4 Ply: Colour Play - A Knitted Scarf Project! Evening folks! Hope you're all well :-) Thought I'd share my recent knitting project with you all today. I'm not normally known for my knitting skills..... I used to knit quite a lot when I was much much younger but kind of got into the habit of hooking of late. I'm rediscovering my love of knitting! 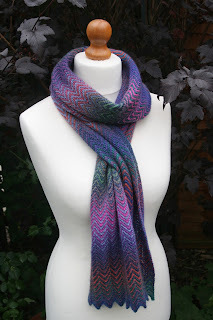 Whilst on holiday earlier in the year I happened to amble into a yarn shop....as you do ;-) and there on the counter was the most gorgeous knitted scarf. I was smitten!!!! 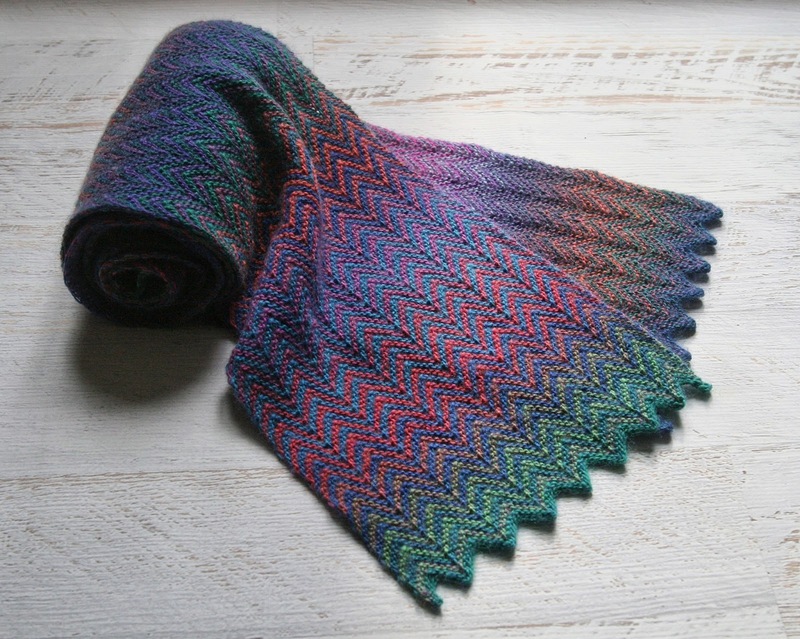 I decided to use Invicta Colour by Scheepjes. Now *I think* I used a ball of colour 972 and one of 963 I say think, as I can't find the labels to be totally sure. I distinctly remember putting them somewhere safe.....never to be seen again!!!! The pattern I used an be found HERE. The gorgeous ZickZack scarf by Christy Kamm. And best of all? It's a free pattern :-))) Even though I used to knit a fair bit years ago, I still consider myself to be a learner/refresher knitter and I found the pattern very easy to master. I just love the way the colours work together to give a subtle effect. I just kept knitting until I had used up both balls of yarn as I like my scarves long! Now that Autumn is upon us, I can see me getting lots of wear out of this beauty. It's got such a wide range of gentle colour shifts. I've already worn it with my trusty old denim jacket and it looked great! I'm very picky about what yarn I wear next to my skin and this one is just fine! I gave it a good long soak in Eucalan (lavender is my favourite flavour!) and it's lovely and soft. 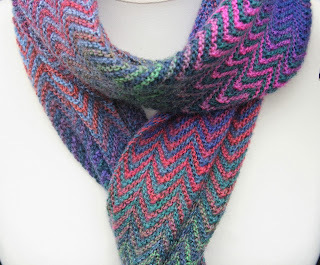 Speaking of something new......join me on Wednesday when I will be announcing a new make along project! 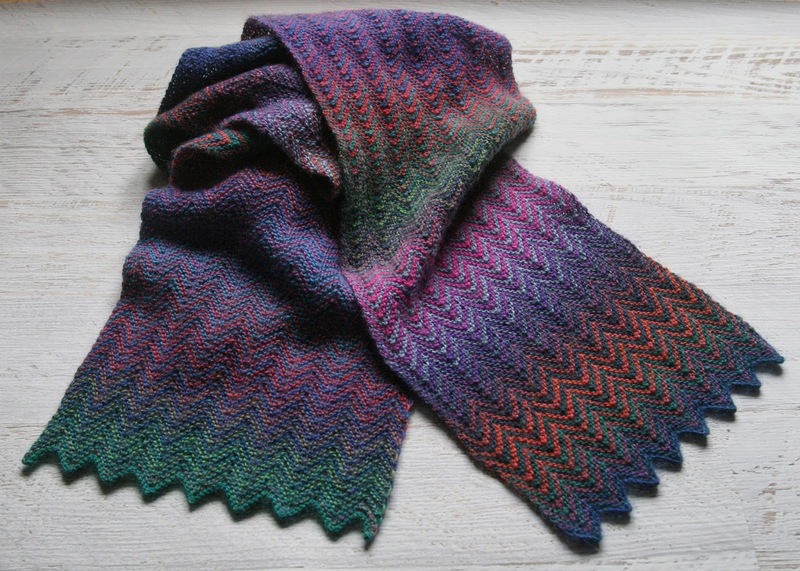 It is really lovely Maria, did you use 3mm needles?